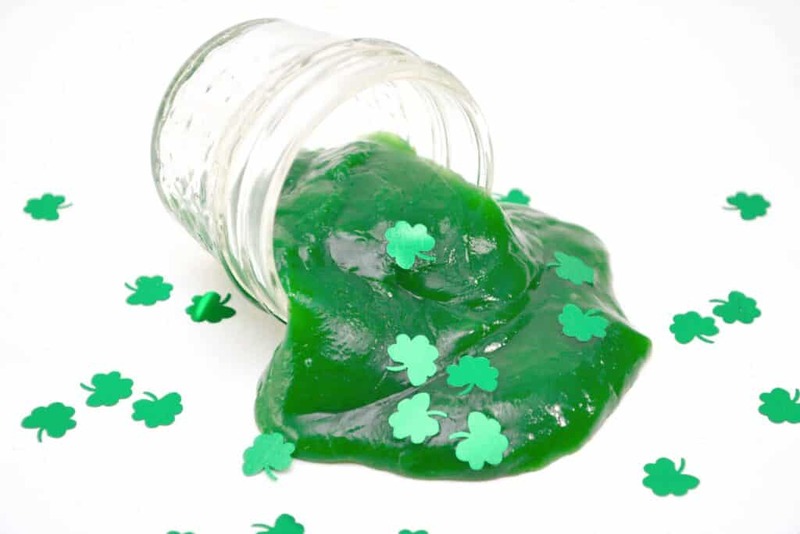 This Saint Patricks Day Slime is fun for kids of all ages! My kids love slime. There is something about ooey gooey slime that is so fun and satisfying! 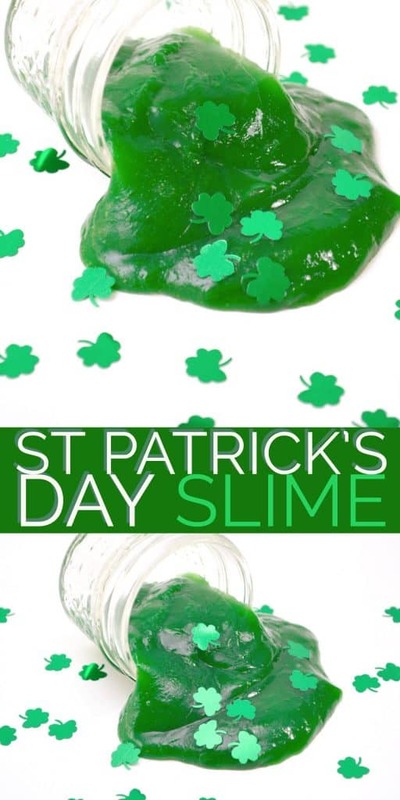 This St Patrick’s Day Slime is a festive and fun way to celebrate the holiday. 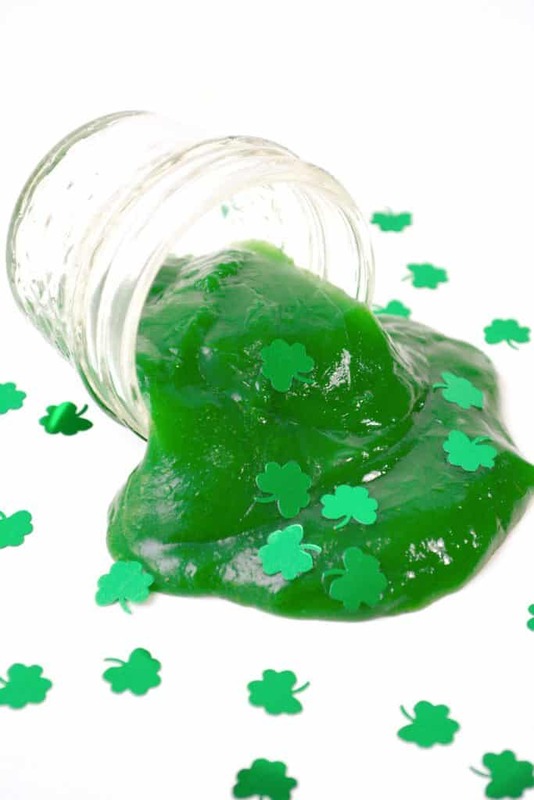 Your kids will love joining in on the fun on making the holiday green slime. You might also love our glitter slime and our holiday elf slime. Make up a batch of your kids favorite slime recipe for a fun craft or to share with friends. 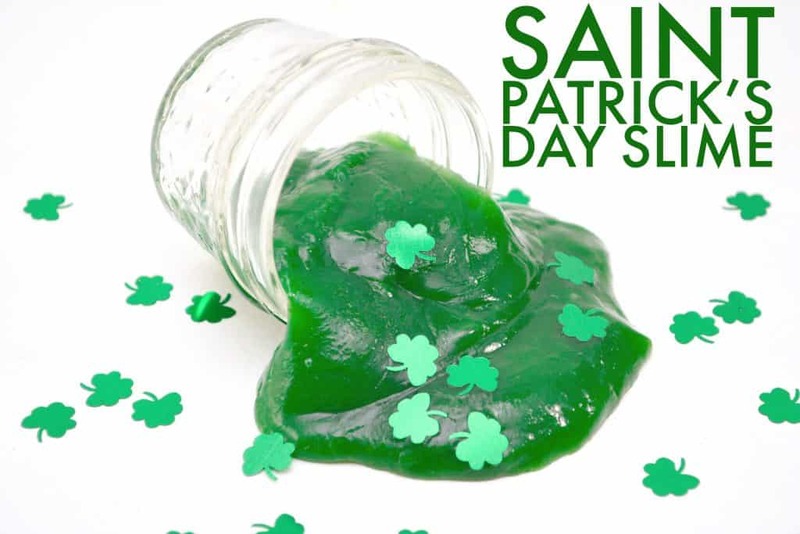 Don’t forget your St Patricks day green— make a batch of Saint Patricks Day Slime. You’ll probably also want to make up a batch of our Golden Oreo Desserts, Mint Fudge with Oreos and Cookies with Andes Mints. in the bowl. 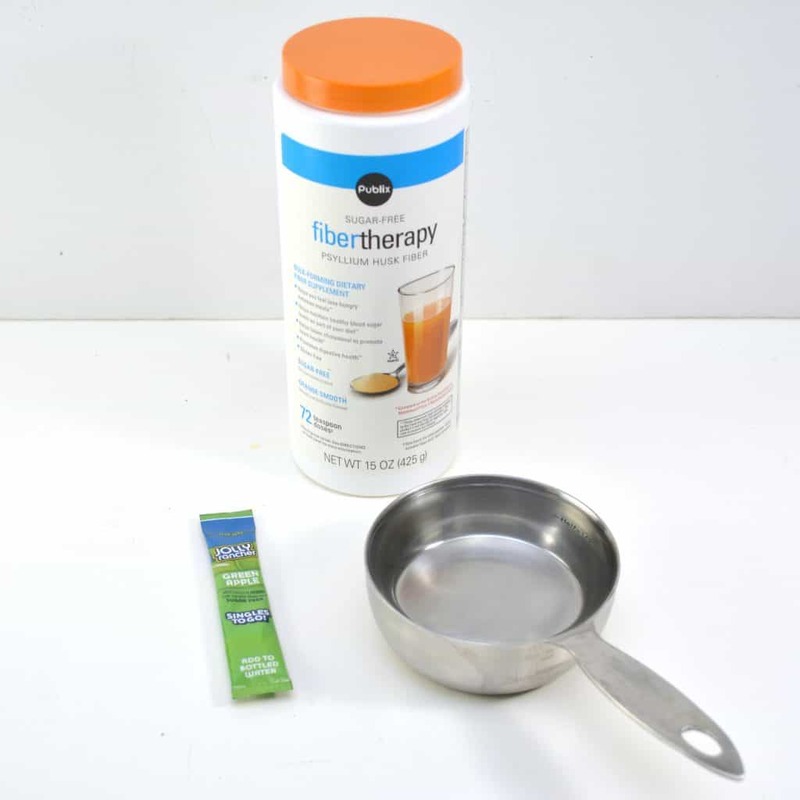 Be careful to use a fiber supplement like Metamucil that has psyllium as an ingredient, as that is what makes the slime form. than orange. If you would like a deeper color of green, add some food coloring. 3. Place the mixture in the microwave and cook for 4 minutes. If your microwave is greater than 1,100 watts, you might want to put the mixture in for just 3 minutes. 4. Take the mixture out and stir well. 5. Place the mixture back into the microwave and cook for an additional 2 minutes. 6. Stir the mixture again and set it off to the side to cool. 7. The slime will look like water at first, but as it cools down, it will start to take shape. Add Shamrock Confetti. 8. Once cooled, you can play with your slime. This slime does leave some residue behind on your hands, but it does not color your hands, and it is easily washed off with warm water.